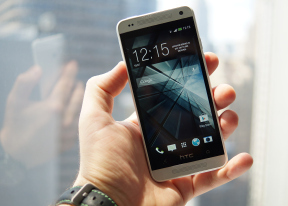 The HTC One mini runs Android 4.2.2 with Sense 5, puts it on par with the big One. The software includes the exclusive BlinkFeed and Zoe features. Here's a quick showcase of the HTC One mini hardware and software. HTC's Sense goes against the grain of most Android custom launcherss and relies a lot on vertical scrolling, which can take some getting used to if you're coming from another phone. BlinkFeed is the first place you encounter it - it's a stream of interesting articles from around the web (HTC has partnered with 10,000 providers) combined with social networking updates for your accounts on sites like Facebook and Twitter. Note that BlinkFeed will use some data to update, but you can set it to update over Wi-Fi only. BlinkFeed is a part of the homescreen - the leftmost pane. You get to it by hitting the Home key and get out of either by swiping left to move to standard-looking Android homescreen panes or by tapping the app drawer button. The app drawer is the second place where HTC went with vertical scrolling instead of the more popular paged interface. The drawer displays a 3 x 4 grip of shortcuts by default (which leaves a lot of padding around icons). You can use folders to group similar apps and make better use of the screen space. The other option is to switch to a 4 x 5 grid from the settings menu. Note that to access the settings in the app drawer and BlinkFeed you have to swipe down. The One mini doesn't have a Menu button, but you can set the long press action of the Home button to substitute it. If you do that, its default function of opening Google Now is moved to a swipe up gesture. The shortcut dock at the bottom holds four shortcuts plus the app drawer button in the middle. These icons are always visible - in BlinkFeed, in the regular screens, in the app drawer, even the lockscreen.